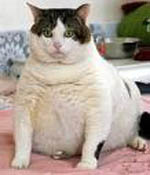 Feast or famine for fat-cattery? Today M&S boss Stuart Rose announced a slowdown in sales growth at the recovering retailer, almost a month to the day after it was announced that he got a 68% payrise last year, to £3.6m. Yes, fat-cattery, that old stalwart of the summer season, may be making a return. But perhaps not for long. According to a new survey, the coming generations of directors - at least those who accede to the board via the marketing department - are likely to place much more value on flexibility and quality of life and much less on hard cash than those currently at the top of the corporate ladder do. A whopping 65% of the 599 people surveyed chose flexibility over salary as the key to job satisfaction. That doesn't mean they aren't ambitious, though - career progression trumps everything else as a motivator, with a steady flow of opportunities to improve skills and do challenging work ranked number one in the survey, from the BlueSkies recruitment agency.